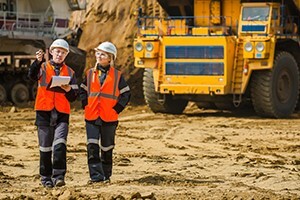 The U.S. Department of Labor’s Mine Safety and Health Administration (MSHA) recently reported that 27 mining fatalities occurred in 2018, which is the second lowest number ever recorded. There were 18 fatalities at surface operations and 9 deaths in underground mines. The leading cause of fatalities was powered haulage, which accounted for 48% of the total. Powered haulage incidents can arise from large vehicles striking smaller ones, failure to provide and use seat belts, and conveyor belt hazards. MSHA has taken action to counter haulage fatalities, including seeking input on technologies and practices that can improve safety conditions related to mobile equipment and belt conveyors. They have also launched a campaign to educate miners and mine operators on the hazards associated with this equipment. In the U.S, around 250,000 miners work in the 12,000 metal/non-metal mines, and 83,000 miners work in coal mines.